Today we discuss copyright. The purpose of copyright protection is to safeguard the author of any sort of creativity. The expression “literary and artistic works” – art. 9(2) Berne Convention – includes every production in the literary, scientific and artistic domain. It is quite important to emphasize that the commercial importance or the economic value of the opera is irrelevant for the protection. The latter is therefore provided regardless the mode or the form of its expression. There is no necessity of the intention to create the work. It can also be not voluntary. Lastly, the literal and artistic quality or merit of the work is not relevant for the protection (even a drawing made by your child may be copyrightable). It has to be original (your own intellectual creation). Registration is not a mandatory requirement. The copyright does not need to be registered to be protected. Authors’ rights are protected until 70 years after the death of the same. Literary and artistic creations: every production in the literary, scientific and artistic domain (i.e. books, poems, movies, software, games, statues, memoranda, reports, notes, lectures etcetera). Paintings: the right of the image remain with the artist, even if the painting is sold. Industrial design (jointly with design rights protection). Computer Programs: because they assume a certain level of creativity and intellectual efforts (Nota Bene: a software is subject to copyright Not Patent!). Copyright protection does not extend to ideas, procedures, methods of operation or mathematical concepts as such. Database are not copyright protected, it is hard to find originality. They have though a sui-generis However, they can in certain specific cases be copyright protected (where the database reflects the personal stamp of the author, for instance, a collection of paintings). Which are the exclusive rights of the holder of a Copyright? Copyright law is harmonized throughout the European Union and it is acquired automatically without registration. 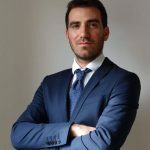 Luciano Monteleone svolge la professione di Legal Advisor per startup presso lo Studio Legale Internazionale Giambrone & Partners. E' specializzato in tutela dei diritti di Proprietà Intellettuale applicata alle startup. Grazie alla sua esperienza maturata all'estero è in grado di fornire assistenza legale a imprese a dimensione nazionale ed internazionale in tutte le fasi della loro crescita. PreviousPrevious post:The importance of Trademarks in the start-up environmentNextNext post:Sicuro di avere i requisiti per costituire la tua Startup Innovativa?